The DofE is one of the best things you can do to help your job and life prospects. If you achieve your DofE Award, you have a better chance of being noticed by somebody looking at CVs for your first job. And once you’re on that first rung of the ladder, the sky’s the limit. 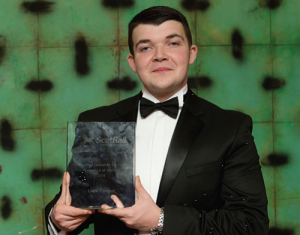 Here at ScotRail, we really believe in the DofE, and we support it because we know what a difference it can make to the young people who take part. We look for young people that have taken part, and for those that haven’t had the opportunity, we give every modern apprentice the chance to do their Gold DofE Award as part of their apprenticeship. 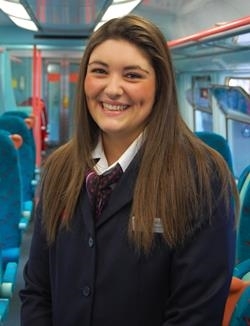 Naomi joined ScotRail as a Modern Customer Apprentice and received her Gold Duke of Edinburgh’s Award – through ScotRail in 2011. As a result she found a full-time job in the Newton Booking Office. She has subsequently moved on to work with the Business Planning team in ScotRail’s Glasgow headquarters.